Each year you will receive a letter and a Christmas card. Usually you can expect an updated photo and a school report too! Many elderly Tibetans don't speak English so instead you'll receive an update from their care home on their behalf. Letters might arrive at slightly different times each year dependent on the post and levels of communication may vary a little. This could be due to the age of your sponsored student, if they are particularly little, or how remotely they live for example. Can I communicate directly with my sponsored child, monk, nun or elder? We ask that all letters are sent through our office, to make sure that they arrive safely and everyone is kept right up to date! So all of the letters you receive will have already been opened by our Sponsorship Coordinator and vice versa. This way we can ensure that we comply with our Child Protection Policy; the safeguarding of our sponsored children is of course, our utmost priority. How much of my money will be used directly to support my sponsored child, monk, nun or elder? As with all sponsorship programmes, a proportion of your sponsorship payments have to go towards the programme's running costs, in order to make it a reality. Here at Tibet Relief Fund, we use 12% of sponsorship payments to help to support the costs of administering our programme. The rest is then sent out directly to our partner organisations, who take care of our sponsored children, monks, nuns and elders, in India and Nepal. Does my sponsorship support my sponsored child, monk, nun or elder directly? Our sponsorship programme exists to support our partner organisations to provide much needed help; education, training and care, to Tibetans in Nepal and India. We have found this to be the most effective way to support exiled Tibetans in need. Your sponsorship funds are sent directly to our partner organisations for the children, young people and elders that you support, helping our partners to continue to help those under their care. Our sponsored children, monks and nuns know that they are sponsored and love having the opportunity to write letters, say thank you and keep you right up to date with what they've been up to over the year. Those who are not yet sponsored are still able to continue to receive limited support from our partners, but they really rely on our help to support as many needy Tibetans as they can. Can I send letters or presents? You are more than welcome to send letters to your sponsored child, monk, nun or elder! Letters and photos are a lovely surprise and a great opportunity for children to practice their English too. Letter writing has built some really great relationships over the years! Our sponsors are not expected to do more than make their sponsorship payments and we are so grateful for this. Your support gives Tibetans in exile the opportunity to take control of their own futures; the greatest gift you can give! So as much as we appreciate the generosity behind wanting to give gifts or pocket money, as a small charity we are unable to allocate enough staffing and resources towards processing these at the moment. We try not to encourage unfairness amongst peers too; some children are not yet sponsored and so don't receive anything through the post. In light of this, we ask that you please do not send us presents or pocket money to pass on. Thank you! Top tip: It is really helpful to us if you include your Supporter Reference number, which can be found on letters from us at the top, right-hand side of the page. When can I send letters / cards / photos? Please send your letters to us by the end of December and June. This way, the letters are received just in time for Losar or Tibetan New Year and then again in summer, when everyone returns from their summer break. How long should I commit to sponsoring for? 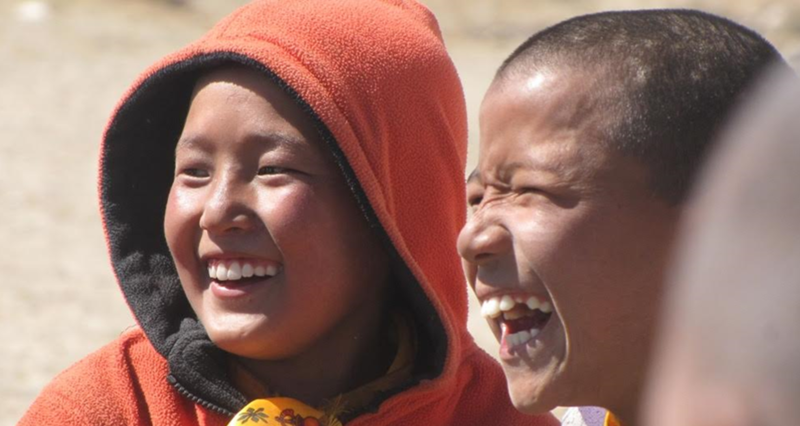 In the best interests of the Tibetans we support, we ask that you are able commit to sponsoring for 2-3 years where possible, or ideally a child's whole school life. Our sponsors have found it to be more rewarding being able to follow their sponsored child, monk or nun’s journey throughout their education and perhaps even further! Of course we understand that circumstances change and so if you are not able to continue sponsoring with us, just let us know. Sometimes a child may leave the sponsorship programme, for example they might change schools or their family could move away. When this happens we endeavour to let you know as soon as possible. How do I know when to renew my sponsorship? If you pay your sponsorship through PayPal or by Standing Order, your payments are ongoing until you decide to change them. If you pay by another method that isn't continual, for example by cheque annually, we will send you a friendly sponsorship renewal reminder, just before the time arrives! It helps us to make sure your sponsorship payments go to the right place more quickly, if you include your Supporter Reference Number when you renew. You can find this on all of your letters from us, at the top, right-hand side of the page. 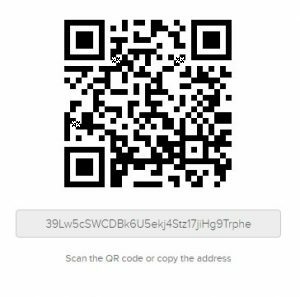 Our preferred payment method, as it helps us to keep administration costs really low, is online at www.tibetrelieffund.co.uk/startsponsoring/. You can go here - https://www.tibetrelieffund.co.uk/renew/ - to renew your sponsorship or select the relevant option and you will pay via GoCardless, our Direct Debit service provider. A standing order creates a reoccurring payment, arranged between yourself and the bank. Should your circumstances change, you can cancel the standing order very easily by contacting your bank. Your standing order can be set to reoccur monthly, quarterly or annually - dependent on which suits you best! You can call us on +44 (0)203 119 0041 if you would like to pay for your sponsorship over the phone. If you have any questions at all that we haven't managed to answer, please get in touch with our Sponsorship Coordinator.